depends on the piece. Often it means "made in Poland"or "made in China". In all cases it means "the manufacturer did not think this piece was worth finishing properly". I believe some Murano pieces didn't have finished pontils, some Salviati fazzolletto, for example. I also seem to remember that some early Venini had a very specific type of pontil mark that could be be felt, but I'm less sure of that. I'll check my reference in the morning. 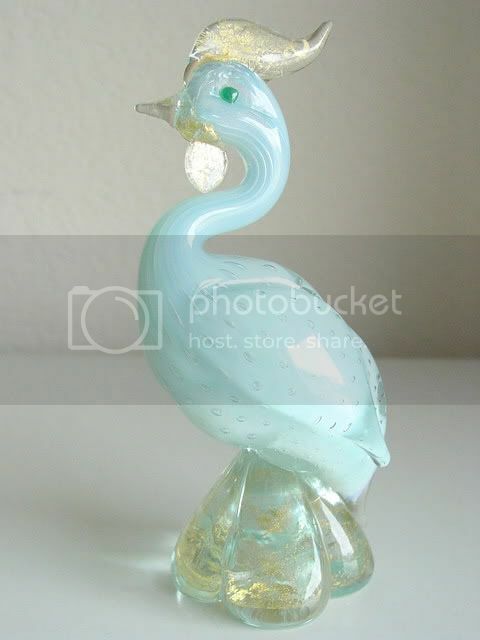 I wouldn't rule out a piece piece being Murano only because of the pontil not being finished, but it would lead me to doing much more research on the piece. If you have a piece that fits into this category, it would be much easier to provide guidance if a picture were provided. A specific context tends to lead to a more conclusive answer. 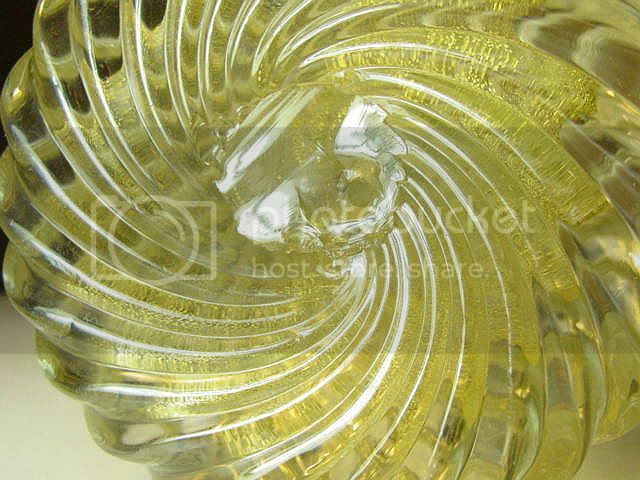 In general the thick glass is polished on the base. The thin glass (goblets, light blown glassworks...) not. 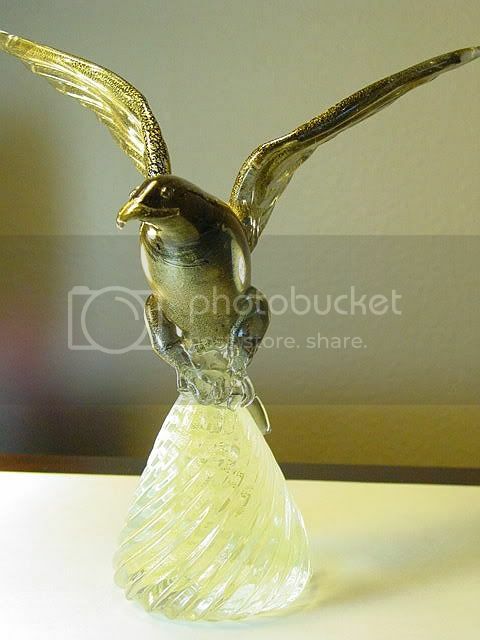 Obviously there are also inexpensive glassworks left unpolished to save time and money. Sometimes the base is not polished to remove the pontil, but just the make the piece more stable. Since angels seem to be be fearing to tread here, I'll jump in to offer an opinion. They both seem like good quality Murano. I can see why the pontil would be left rough, as shown in the photograph. That is, it would be hard to polish and not much would be gained. I wouldn't be surprised if the birds were by one (or two) of the better known furnaces, Barbini or Seguso, but I would stop short of offering a positive attribution. There's still a little bit of angel left in me.